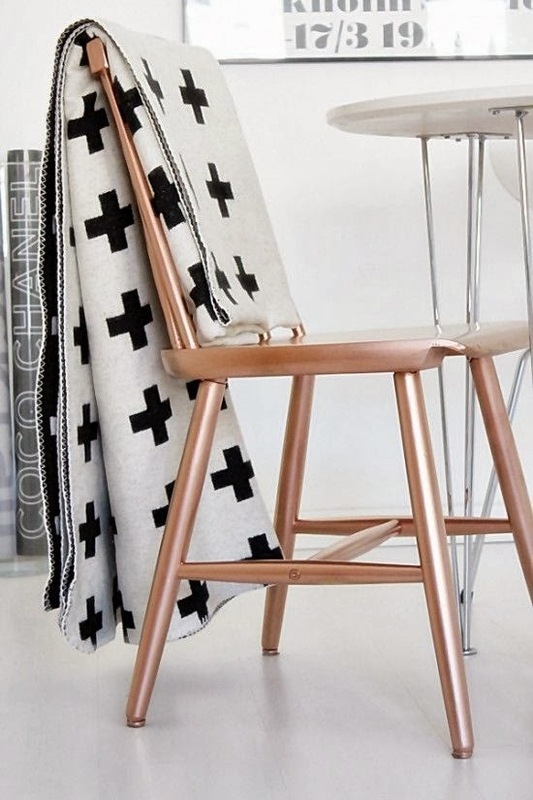 Copper with its earthy metallic tones makes us like the way it looks in our home and the effect it has in home decor because it goes brilliantly with so many colors. 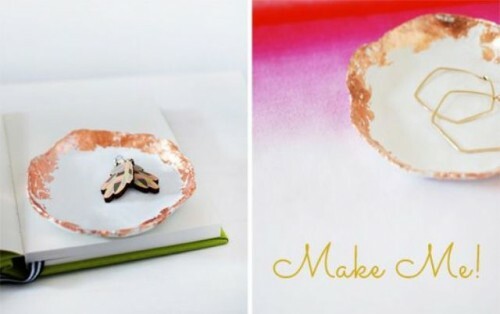 Here we present you how to make DIY copper projects for your home décor that are very modern and creative. 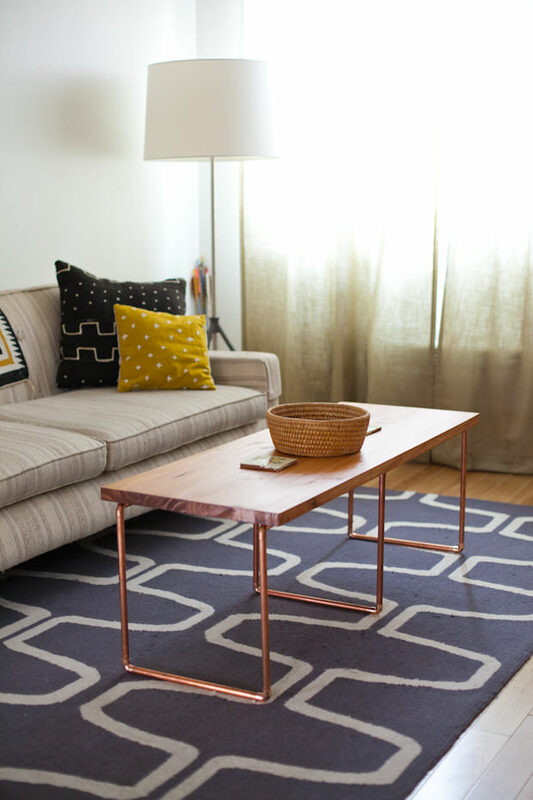 These crafty copper pipe ideas show that you can completely change and enhance the look of any room in your house or apartment. 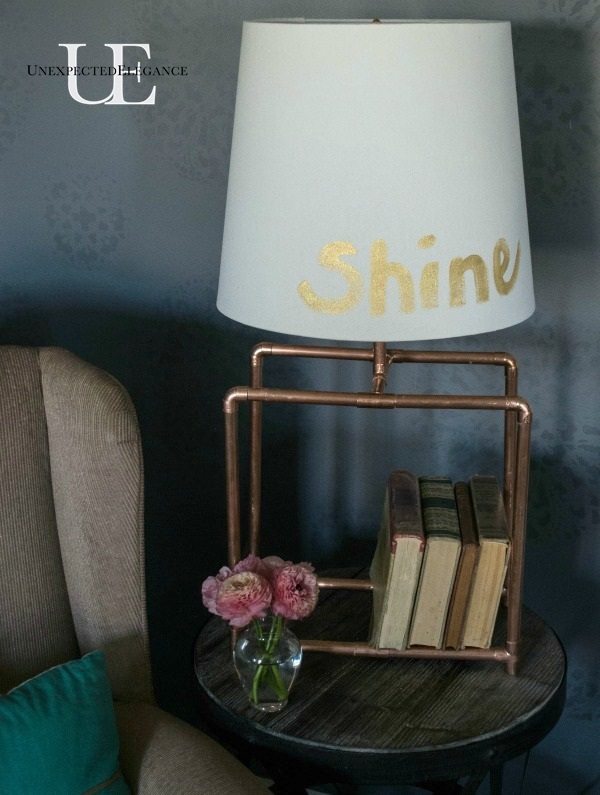 There are so many ideas and possibilities you can include the copper pipes, or copper spray paint and make some shelves, ladder as a storage, wall décor, or improve the look of the table lamp, mirror, vase, side table, etc. 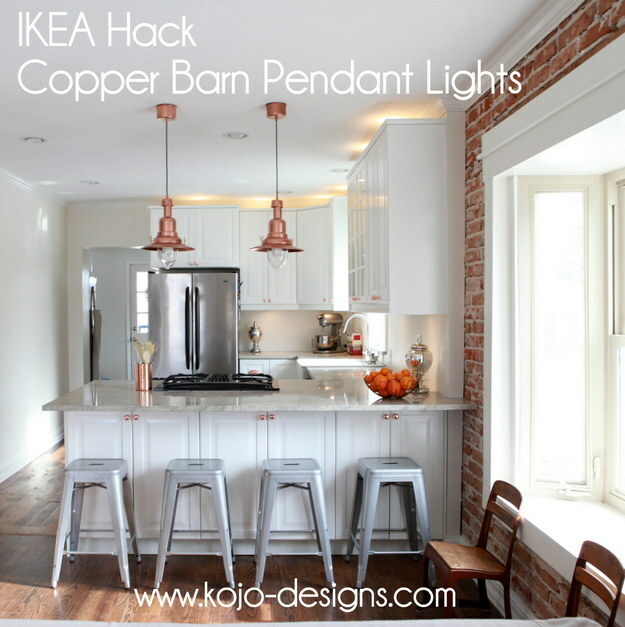 Go through these 19 bright ideas how to add copper in your home décor that show how beautiful copper details can look, and inspire yourself for new DIY project. 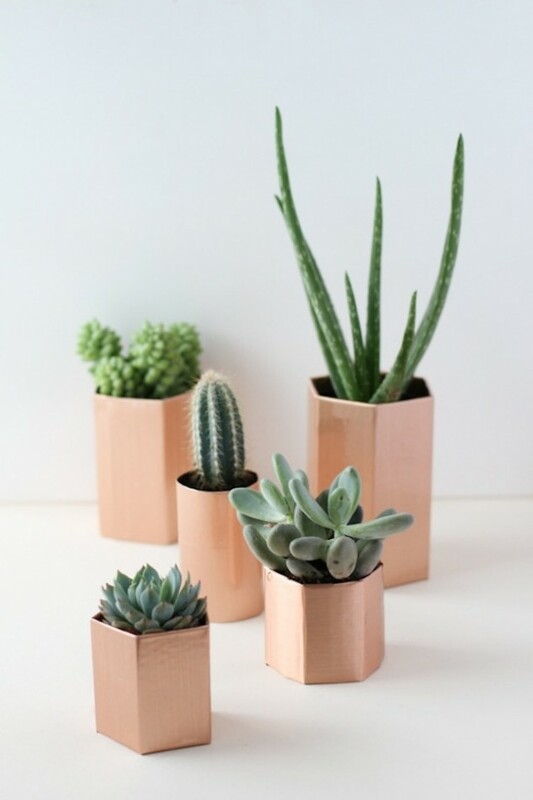 Make some cute planters with some copper accents. These tiny planters will be perfect for accessorizing your desk or table with minimal effort. 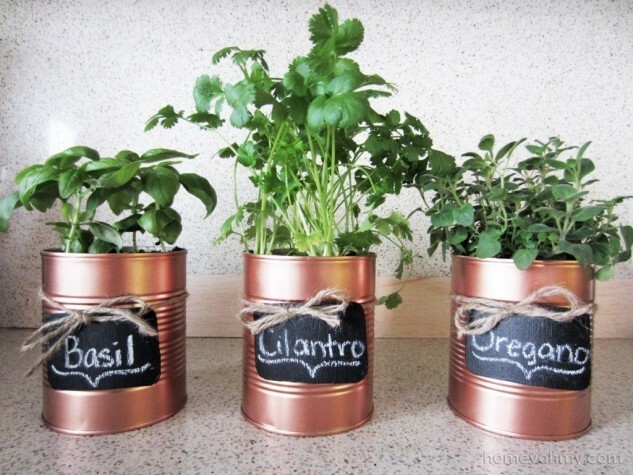 Or, spray paint tin cans with copper and turn them into adorable planters. Brighten up your table with this quick DIY project. 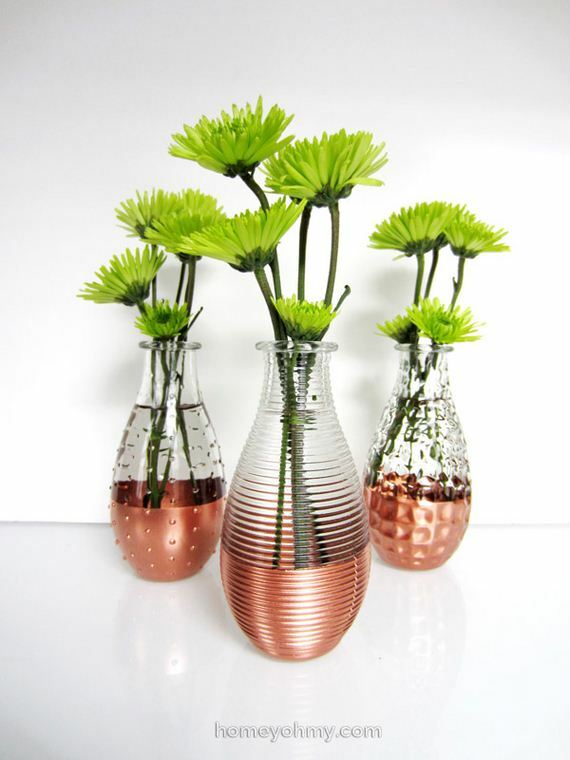 Glass vases, painter’s tape and spray paint are all you need to make these copper dipped vases! 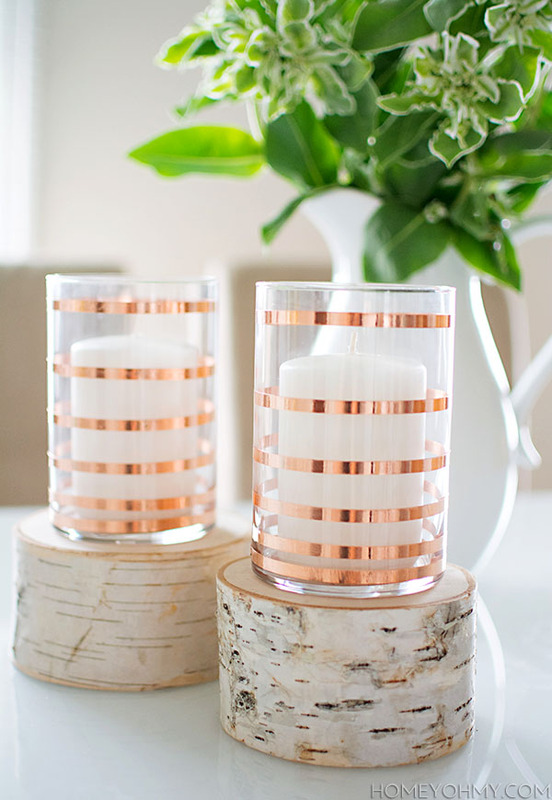 You will need copper tape to create inspirational designs like these striped candle holders. 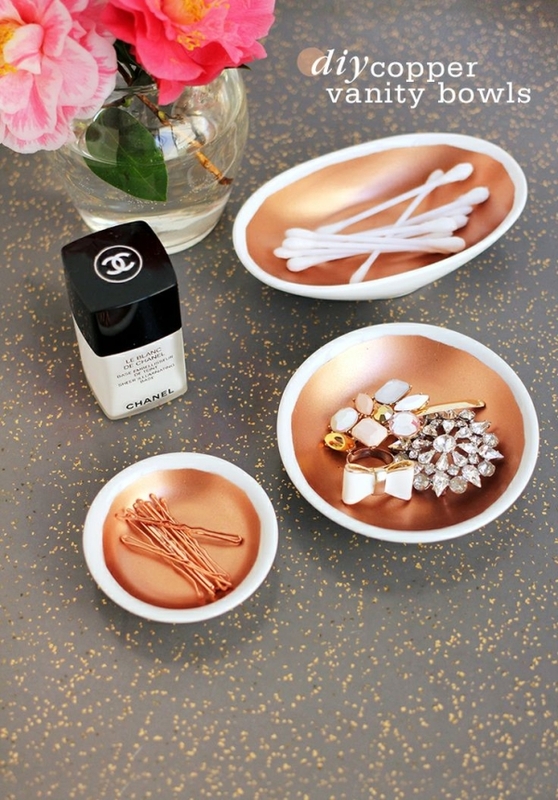 These bowls are perfect little storage units for the vanity, bathroom, or for your desk. And, they are extremely easy to make. 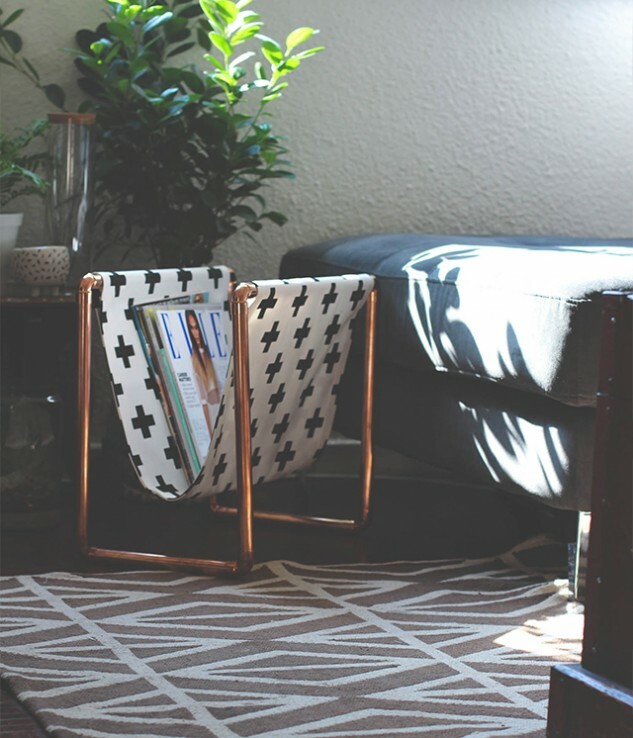 Very easy copper pipe project to lighten up with style any room in your home. 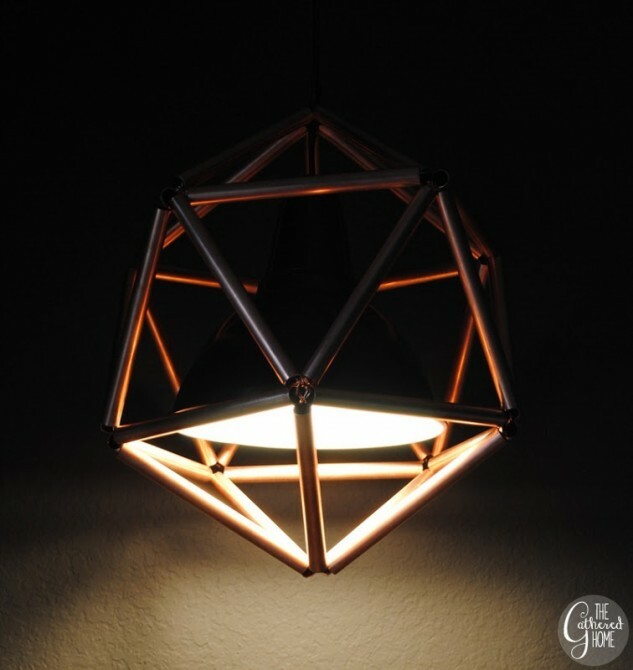 This DIY geometric copper pipe pendant light is perfect to add a bit of extravagance into the living room, or even in your kitchen. Very practical and useful idea. These pipe hooks are very durable, and you can hang even some heavier items on them. 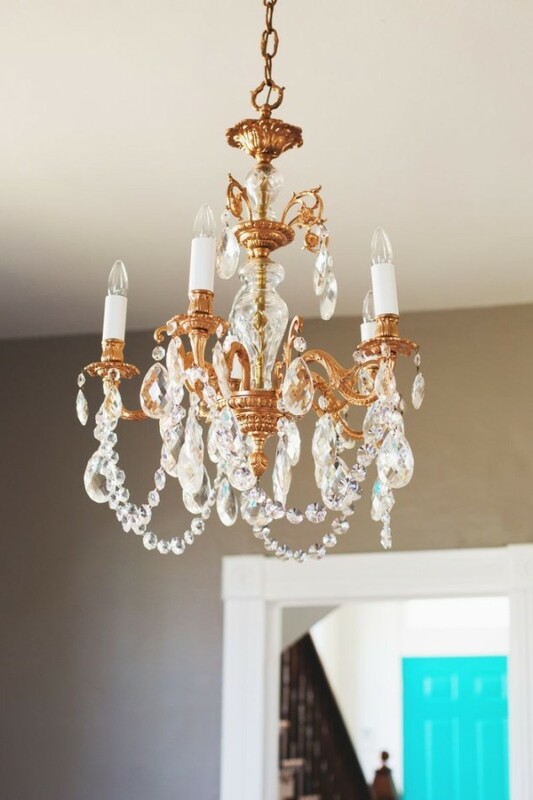 Awesome and elegant chandelier look to brighten up your living room. A durable and simple construction for your chair. the seating to be more comfortable add some cushions. This would be a modern, decorative and improved version in contrast to your old coffee table. 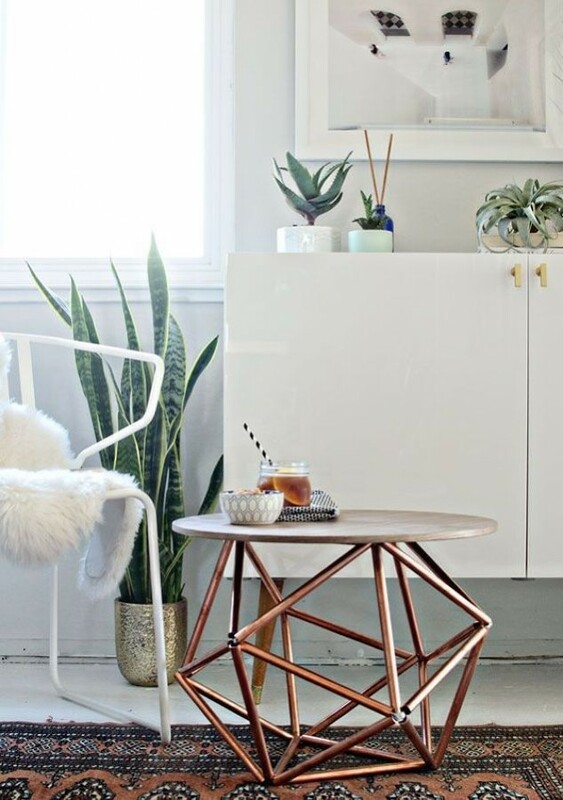 This stylish and budget friendly side table made out of copper pipes will beautify the look of the living room. Organize your magazines with this DIY magazine stand. It is made with a durable copper pipe frame and recycled denim is used for the holder. Transform the old table lamp and give it a completely new look by adding these copper pipes as a stand for the lamp shade. 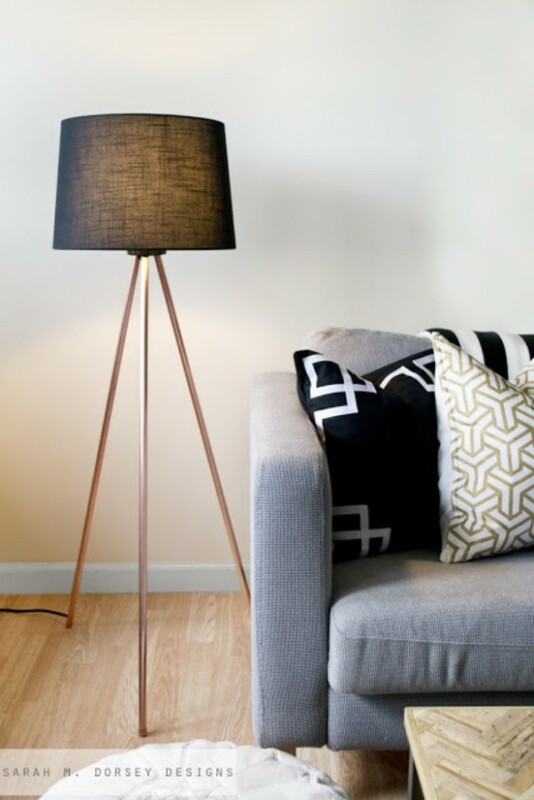 This tripod lamp will look great in the living room or in the bedroom right next the bed. It’s made from a copper piping and a lamp shade. 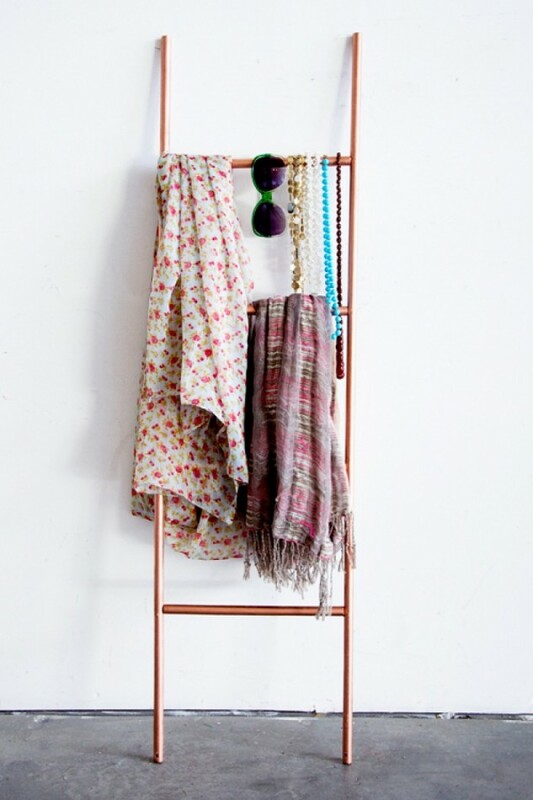 This copper pipe ladder is perfect for storing and keeping your scarfs and some of the jewelry that you use every day. 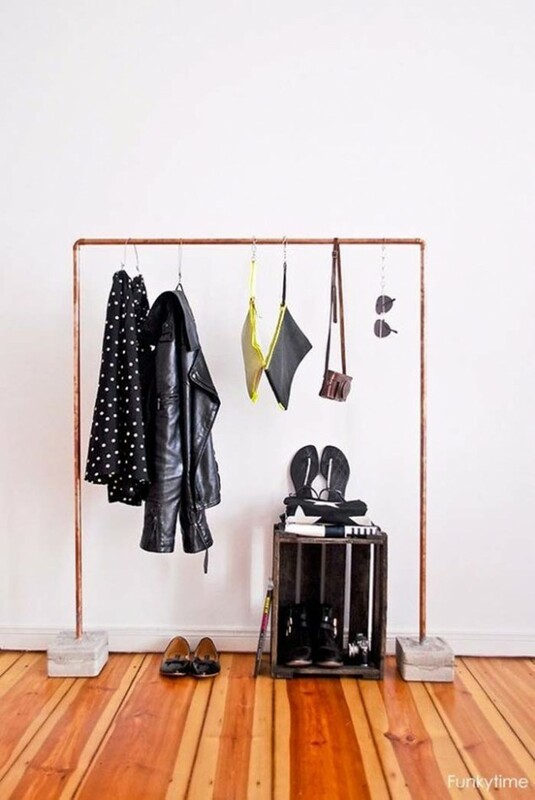 Very interesting and eye-catching idea for displaying your clothes. 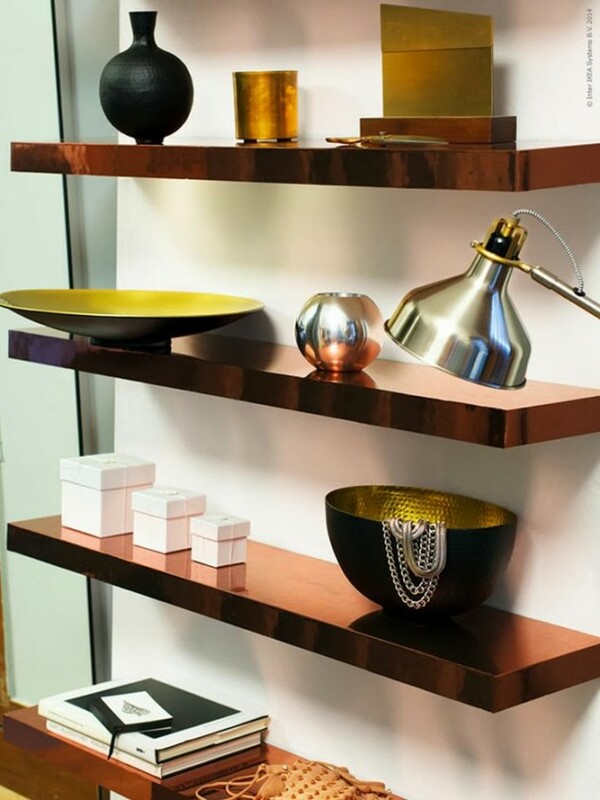 These copper DIY shelves are perfect for the living room to display some photos or some decorative items. This would be an easy and simple afternoon project after a quick trip to your local hardware store. 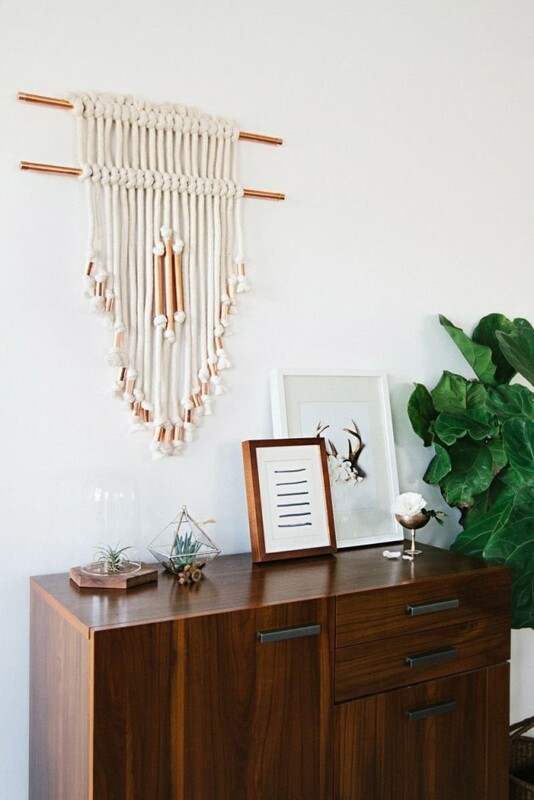 Make this budget friendly wall decoration with just a few copper pipes. Be creative and give a new look to your old glasses. this way they will be more attractive and will look more expensive. 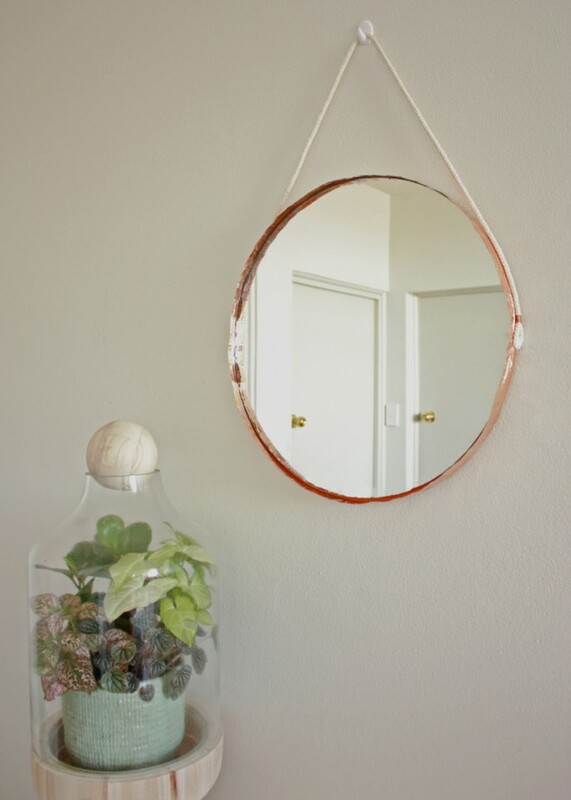 The copper edge mirror is extra stylish and will dress up any room in your home. 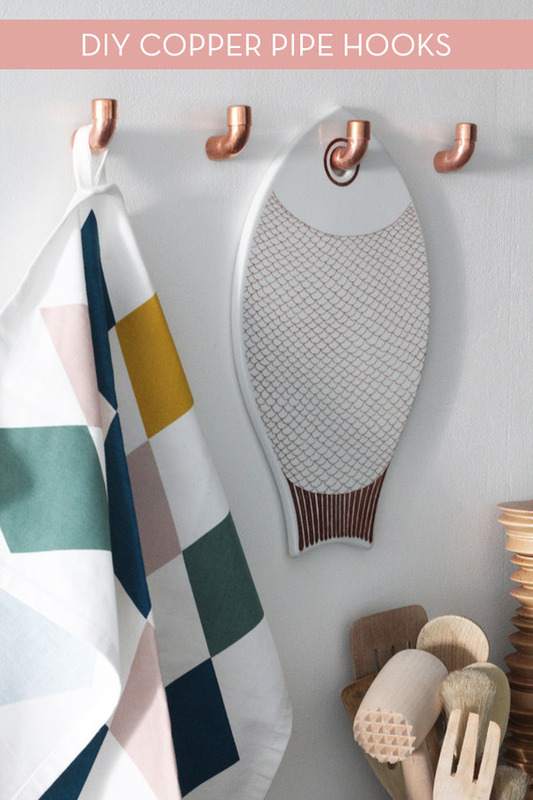 It is easy to make and an inexpensive way to create a trendy home accessory.